Nidhog is the name of a serpent in Norse Mythology. The name literally means “He who strikes with malice”. 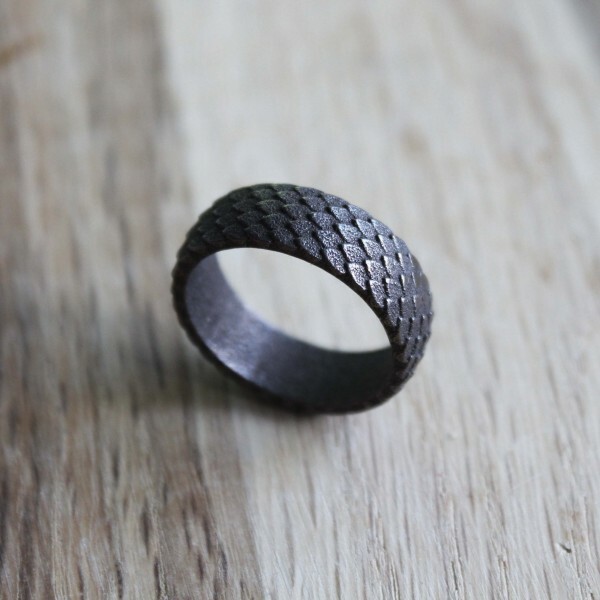 Let out your inner dragon with this scaly ring in polished bronze steel. beautiful ring! I bought it for my husband to celebrate our 9th wedding anniversary. He loved it! We are based in Italy and the shipping took much less than I thought. Thank you Primal Crafts! The size is perfect and looking at it closely, the scales are well crafted. Awesome ring! Shipping was quick and the design is great. I will definitely come back here for more! 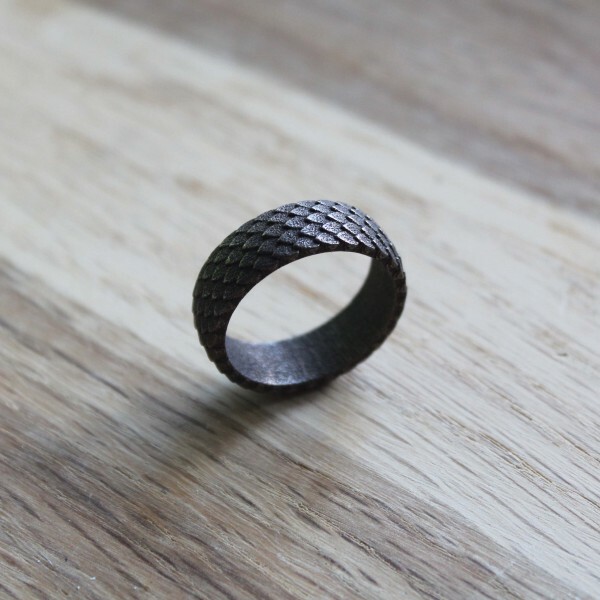 I ordered my Nidhog ring in a matted bronze, and the results are stunning. 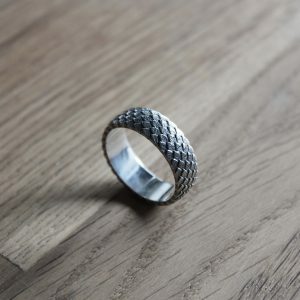 The design of this ring is attractive to the eye, and I’ve received many compliments because of it! It did take some time to get to me here in Canada, but that’s because it was made from scratch in my preferred metal; it was worth the wait. 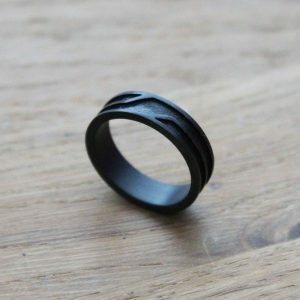 Kristoffer is pleasant to work and communicate with, and was able to create a ring that best suited my preferences, as well as fit my finger size. I’m truly impressed with both his craftsmanship and business interactions. I’ve recommended Primal Crafts to two friends who have both been happy with their purchases through my account! 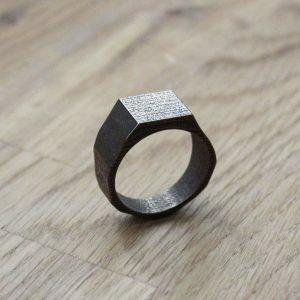 Absolutely love the Nidhog ring. 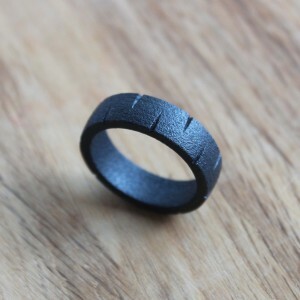 I ordered the bronze and got the sizing wrong, Primalcrafts exchanged this for me with a customised size. Excellent work of art and customer service! Primal Craft wisely combines a great passion for alternative design, filled with tradition and symbolism, with a great brand business attitude. My experience with Primal Craft is excellent. I ordered a Nidhog ring for my boyfriend: photos, even if really well done, can’t explain completely the beauty and the neatness of the design. When I saw the ring in person, I understood the studies and the work that are behind. Since I ordered a wrong size, I had to ask for a return and exchange: customer service was great from the very beginning with a fast,kind and clear communication. 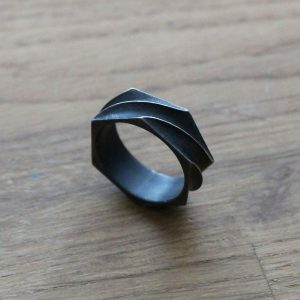 Kristoffer surprised me with a stunningly fast exchange and shipping, and now I have a beautiful brand new Nidhog ring (proper size!). I will order again in future, because I do really want something also for me. Definitely recommended for those who are searching for peculiar treasures. The ring is just beautiful. It arrived fast (usually takes 2-3 weeks, arrived after 10 days). These pictures do it no justice, it’s an amazing piece of work and I am so happy with it! Will definitely order from here again in the future! 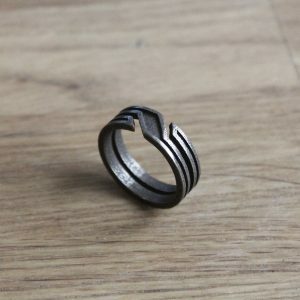 This ring is just awesome. Period. 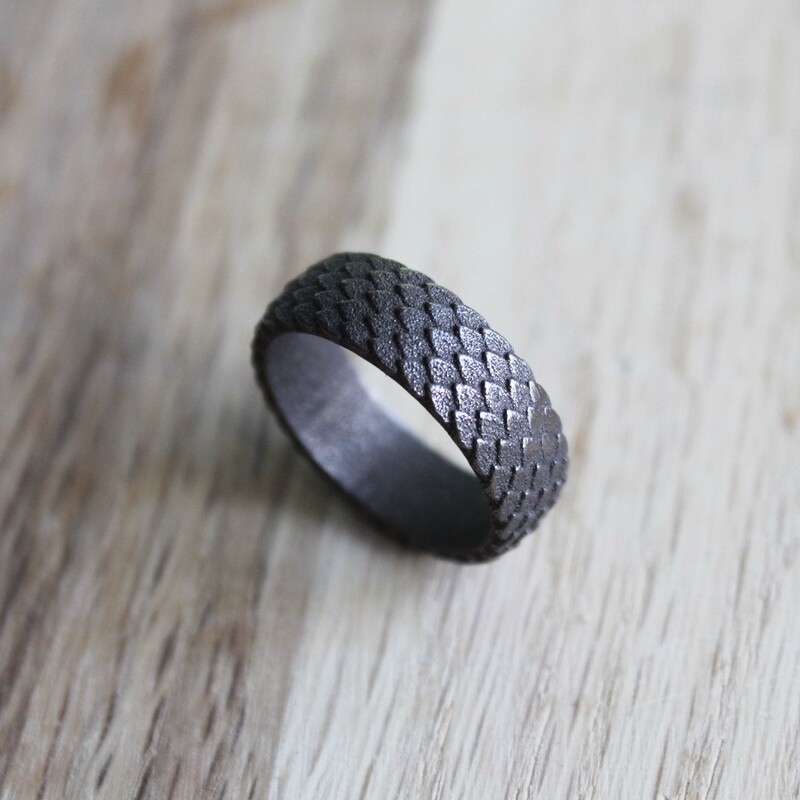 It looks amazing, the scales look quite finer than on the picture, love the rough aspect, just a great ring, as usual with this brand. Vou escrever em português mesmo, minha língua nativa. Kristoffer é o vendedor mais atencioso que já tive o prazer de negociar, comprei dois anéis para serem as minhas alianças de compromisso com minha mulher, é absolutamente incrível como os anéis são perfeitos! São únicos, e carregam toda a minha personalidade e representam a minha união com a mulher da minha vida! Só tenho a agradecer pela atenção e por criar algo tão perfeito. Eu vou comprar outros vários!